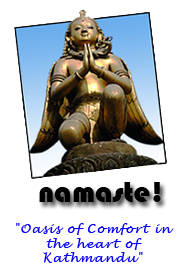 Annapurna Guest House (AGH) has 15 comfortable, spacious, airy and neat & clean; Single, Double and Triple bed-rooms with modern facilities. 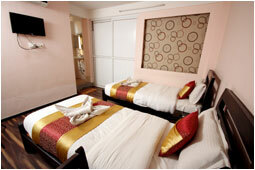 Our rooms have King size double bed, wide and comfortable twin sharing beds and Triple Bed. 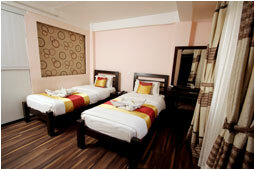 The rooms are of two catagories, Deluxe (with A/C) and Standard. Deluxe category rooms are fully furnished, well decorated and have the facilities of attached bathroom (running hot & cold shower), Air Conditioning, Flat Screen Television with Satellite Channel, Telephone and Free high speed Wi-Fi Internet. 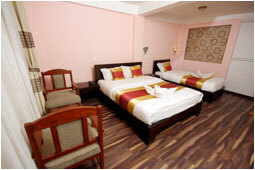 Standard category rooms are fully furnished and have the facilities of attached bathroom (running hot & cold shower), Flat Screen Television with Satellite Channel, Fan, Telephone and Free high speed Wi-Fi Internet. All the bathrooms are neat and clean with running hot & cold shower and with toiletries.